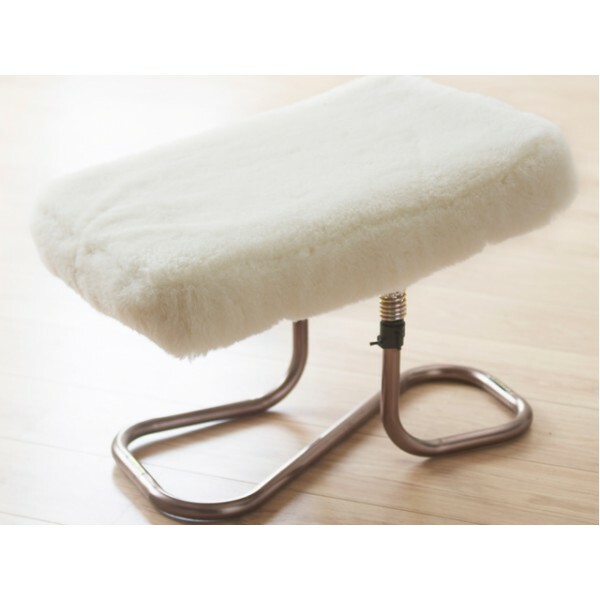 Flexible Padded Restaleg Leg Rest / Footstool. This exceptionally comfy footstool is specially designed to reduce pressure on your legs and encourage healthy blood flow. It’s adjustable in height and automatically tilts to a comfortable angle, completely supporting your lower legs and feet. It’s surprisingly lightweight so it’s easy to carry from room to room and the soft, foam cushion is covered with an attractive, leather-look fabric that can be wiped clean. Also available in Extra Roomy. Height can easily be adjusted from 400mm (16") to 470mm (19") with the turning mechanism at the side (measurements are from floor to the top of the cushion). 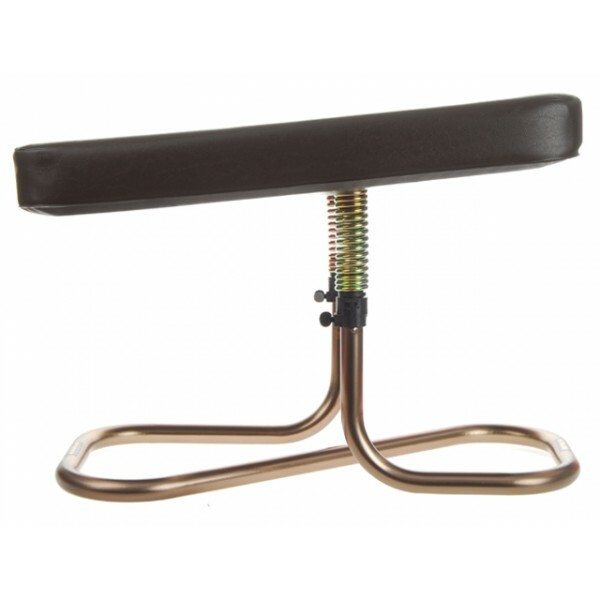 Springs in the legs allow the cushion to tilt to a comfortable position. Lambs wool pile cover to fit extra roomy model. A sensible light weight practical Solution to the problem of taking pressure off ones legs. I rated only "Good" because of a part delivery. I don't mind "part deliveries" but I would like to be advised that there will be a delay in order completion. HOWEVER - the leg rest is excellent. That arrived in 2/3 days. The missing "part" is the lambs wool cover. If that is as good (quality-wise) as the leg rest, then I will be 99.999% pleased. Bought this for my Mum's birthday and she was over the moon with it. Very fast delivery and great quality. My only tiny criticism would be that the sheepskin cover we ordered came a few days after her birthday which is fine, but notification that there would be two separate deliveries would have been useful. Its absolutely lovely but too high for mum. I need one 3" lower. Do you have one about 13" high?